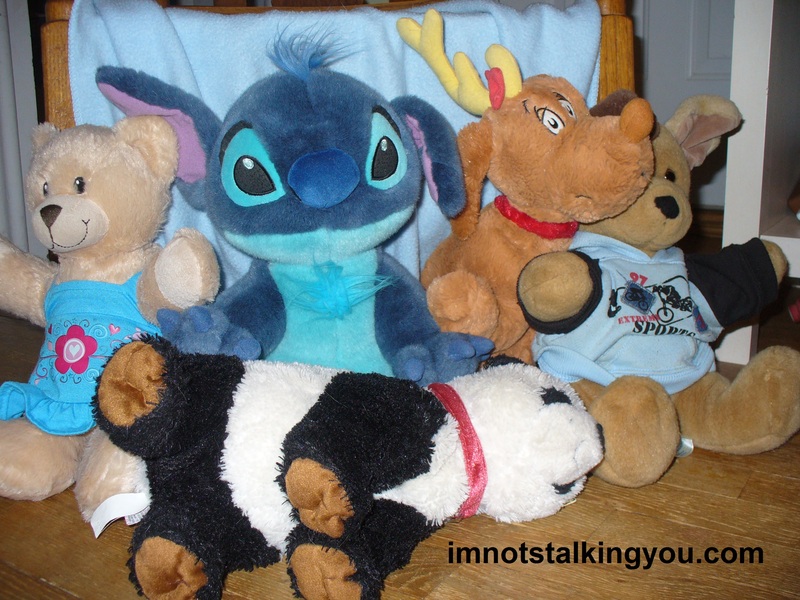 fur | I'm not stalking you. 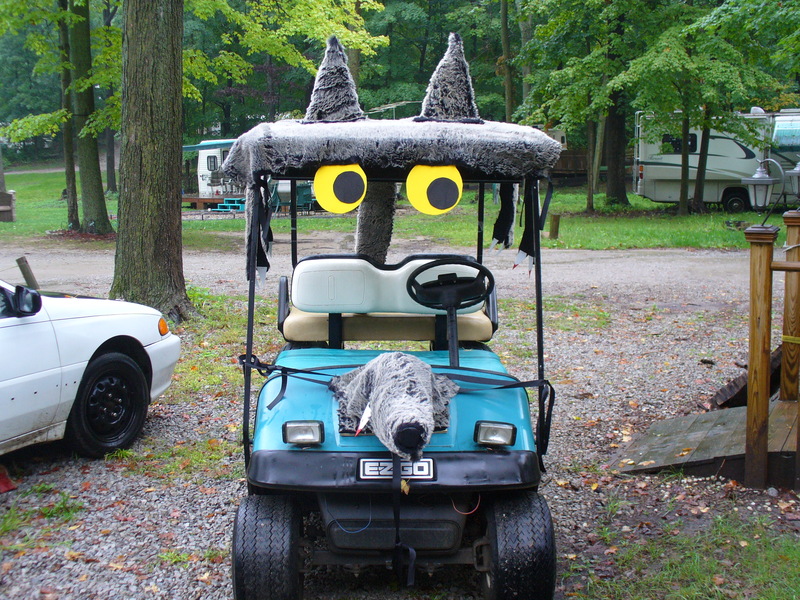 A golf cart Halloween decorating contest. Sounds crazy, right? What if it wasn’t even held in October. …and that is how the Werecart was born. My Mother-in-Law has camped for years at a nearby campground. 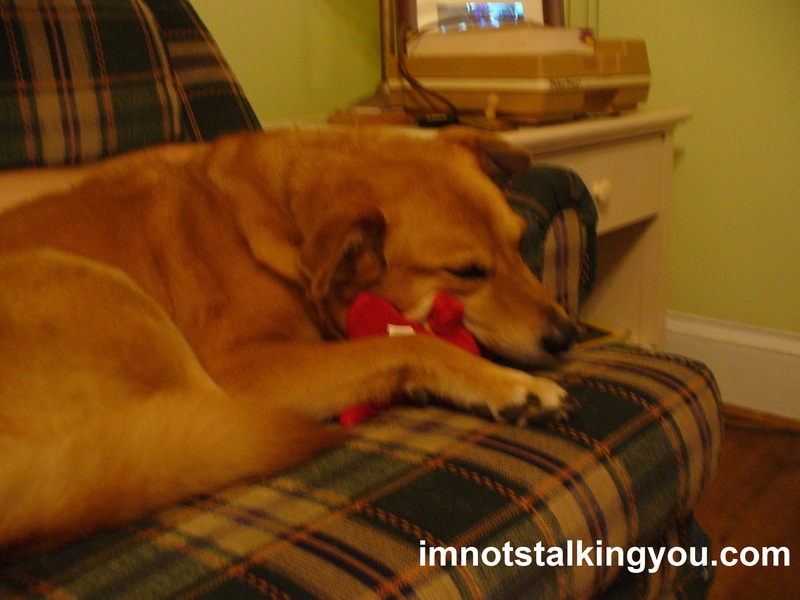 My husband and I would go out occasionally throughout the summer to spend time with her and just relax. She has a camper that she leaves parked there year round. Almost everyone there has a golf cart to speed around the dusty campground on. Riding on the golf cart and watching a campfire are the big entertainment there. And that is what makes it relaxing. 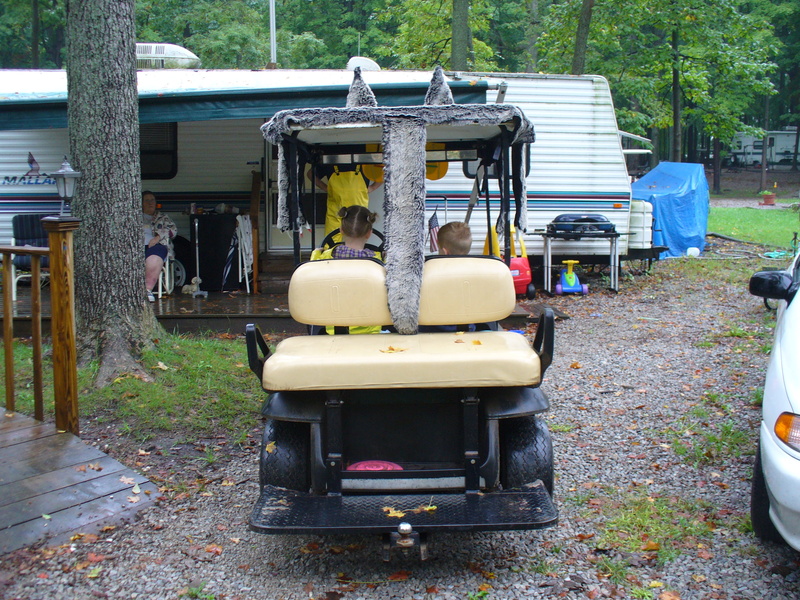 The campground closes in mid-October every year. Fear not, the children still get to celebrate Halloween. They usually hold a Halloween celebration during the summer. (Note: You can’t necessarily just use your costume from last year. A Halloween costume for October in Michigan needs to be warm. In the summer, it does not.) 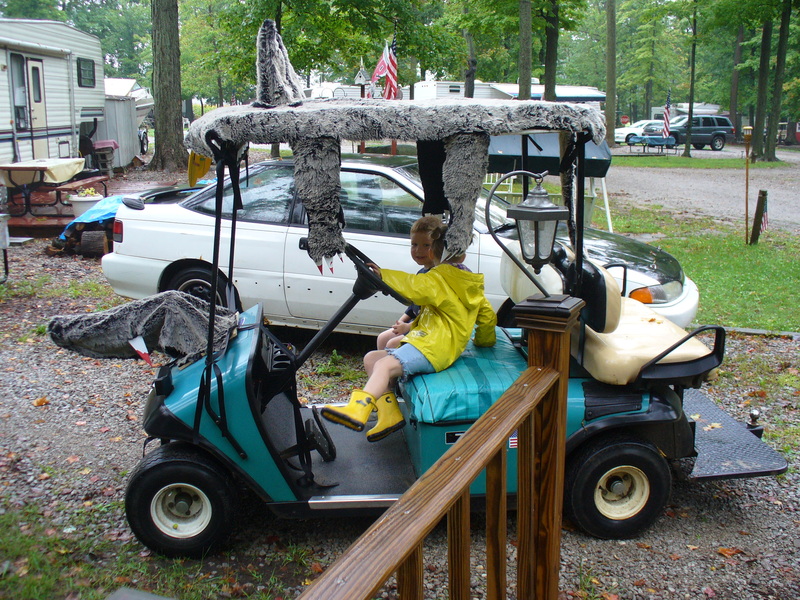 One year the campground announced a golf cart costume contest. It sounded completely insane. And that is how I knew I had to enter. I pitched my idea to my MIL. She was open to anything I wanted to do. My husband and I made a quick weekday trip to the campground, so that I could take measurements. The campground is very deserted during the week. To measure the angle of the front of the golf cart (very critical to my design), I just folded a piece of paper. I am sure my Geometry and Trigonometry teacher would be very disappointed in me. I only had a week to complete my crazy project. I had to go the next day to JoAnn Etc. and buy a lot of fur. Fur ain’t cheap. Then I laid on my dining room floor for a week, trying to measure my limited amount of fur correctly. The fur was flying. I believe there were a certain amount of frustrated tears. By Saturday, there was more black fur on my floor from my project than from my two actual dogs. Notice the blood on the fangs! My husband and I drove out to the campground. It was a rainy, dreary day. I worried whether the pieces would fit properly. I also worried whether the weather would damage the fur. You never want a werewolf to be mistaken for a drowned rat. It turned out everything fit fine and it was as cute as Hell. It even proved very durable when we test drove it around the campground’s gravel road and over potholes. But due to the rain, the Halloween festivities were delayed till the following weekend. This was a potentially devastating development for us, as now our competition had seen what we were bringing to the table. The next weekend we saddled up the Werecart again. Strange circumstance number one was that the judging for the golf cart contest was taking place after dark. It is hard to see details, or anything, that way. I had brought a tape player so that the Werecart could even growl while being judged. The winner would get a cash prize. I planned to split it with my MIL, and use my half to recoup materials costs and to buy a weather radio (which I desperately wanted). Strange circumstance number two: I believe the cart that won was just a big box over the top of it, with some windows cut out that had flashing lights and smoke coming out of them. But I have to admit, I don’t really remember who won. I was too busy being mad that we did not. My MIL felt robbed as well. We believe that the judges gave preferential treatment to their friends. We got a $10 prize for honorable mention, I think. I let MIL keep it for bingo money the next day. 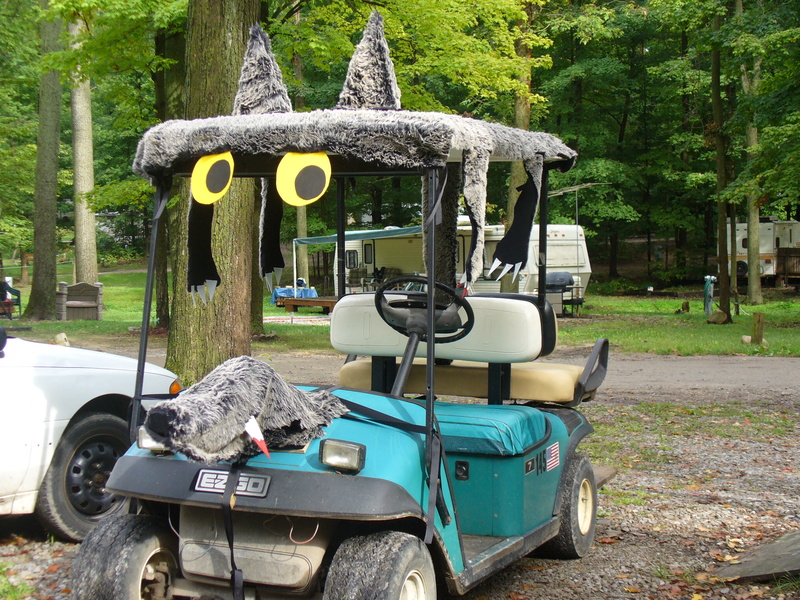 The next year there was another cart costume contest. The Werecart emerged from his den to stalk the day. But, when it came time for the contest, he was gone. He doesn’t put himself up for rejection twice. The Werecart knows it rocks. ‘Nuf said. 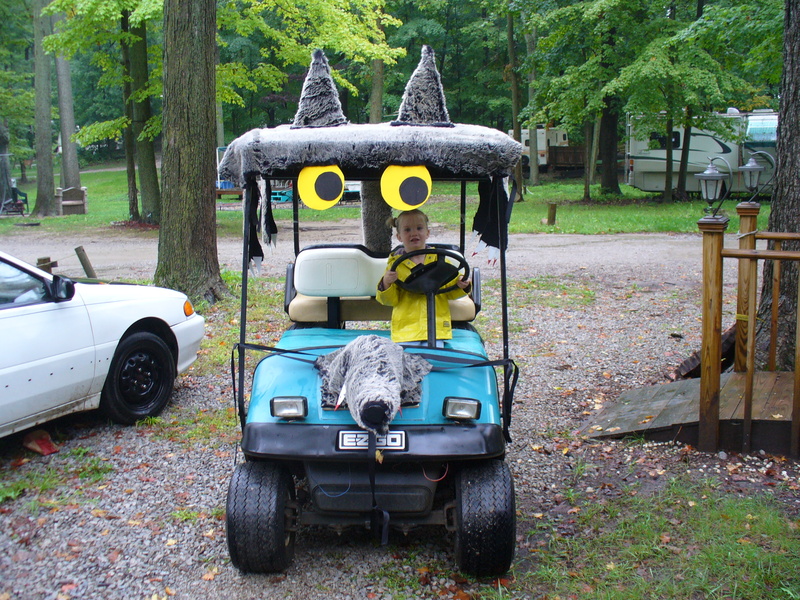 Posted in A day in the life, UnProfessional Photography & Artwork and tagged campground, Contest, costume, fur, golf cart, Halloween, JoAnn Etc., October, rain, weather radio, Werecart. Bookmark the permalink.